This is a smaller version of a larger heart design. 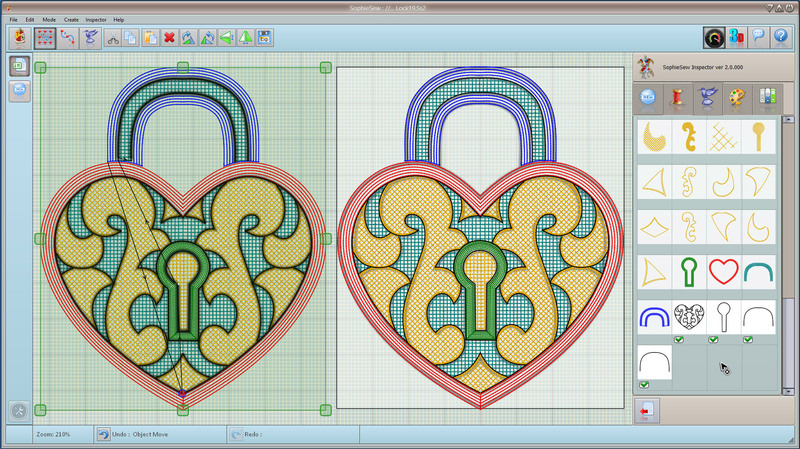 This design ( pictured left ) was stitched out on black satin using a Husqvarna designer 1 embroidery machine with a standard 10 by 10 centimeter frame by john Coldwell using SophieSew version two embroidery software ( see below ). It is a four color design in one size of 7.94 by 9.55 cm at 18090 stitches approx. Red, Pink, Shocking Pink and Black ( outlining ) Madeira threads were used to give a contrasted eye catching look. 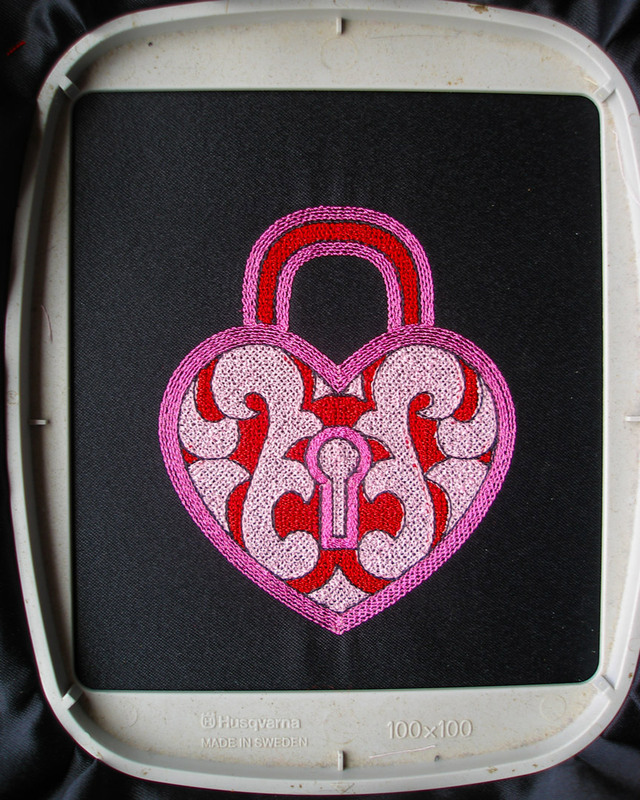 This design was digitized entirely with running stitches approx 1 mm apart to give a meshed almost cross stitch look. A Light stabilizer and touch of 505 fabric adhesive as well as a schmetz 75/11 universal embroidery needle were also used. another beautiful design! thank you! I love this beautiful design. I wonder if there’s an ‘order’ sheet telling how it will be stitched out?